For maximum freshness, please keep seed refrigerated in its original packaging until it is time to plant. For maximum freshness, please keep seed refrigerated in its original packaging until it is time to plant. Sow seed at 6-12 degrees Celsius as soon as ripe or in spring; keep at 15 degrees Celsius for 3 months, then at 0-5 degrees Celsius for 3 months. 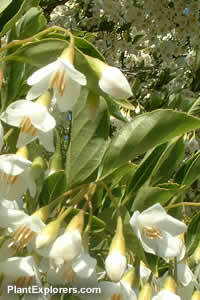 Grow in moist but well-drained fertile, humusy, neutral to acidic soil in full sun or part shade. Shelter from wind.